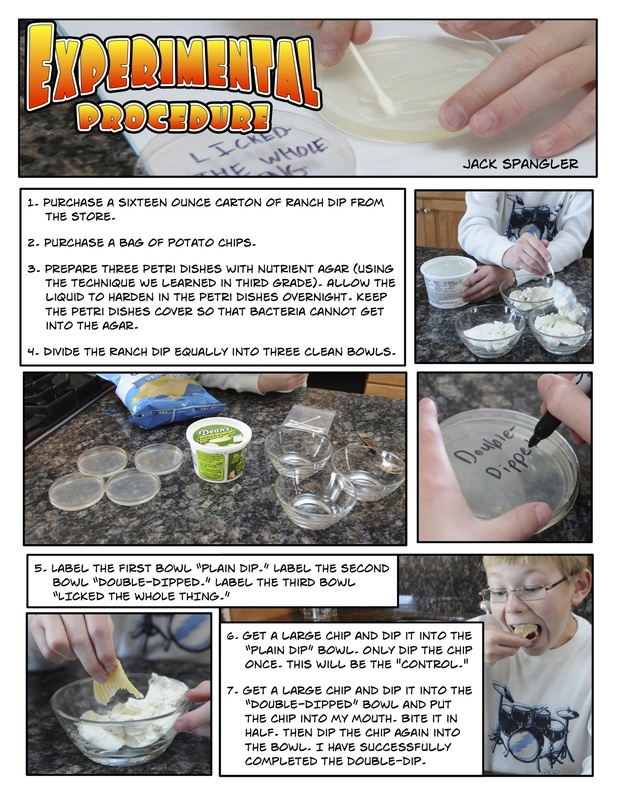 If you’re looking for a cool science fair project, take a look at Jack’s Double-Dip Chip Challenge. 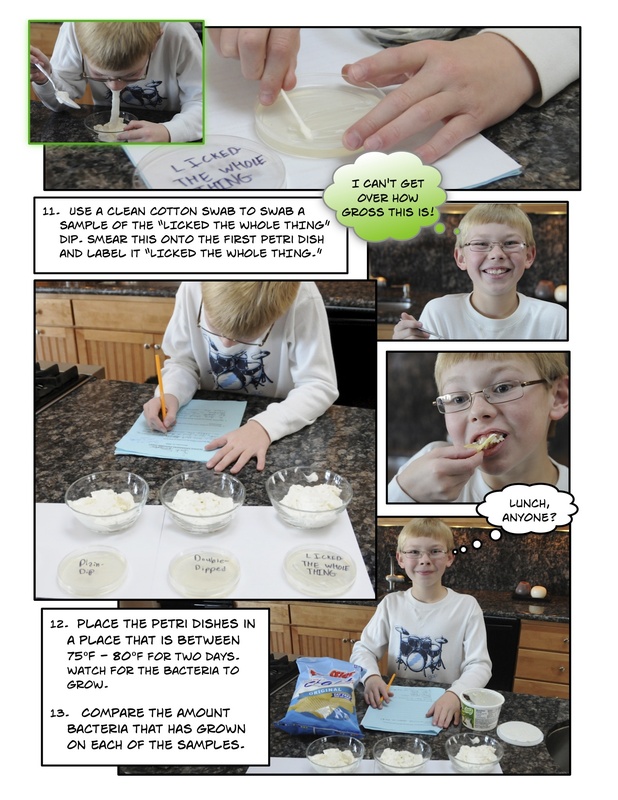 Jack used Comic Life software on his iMac to present his science fair project in a more eye-catching style than the traditional tri-fold board format. This, too, was a little experiment to see if more people would stop by the table and view the project… and it worked. 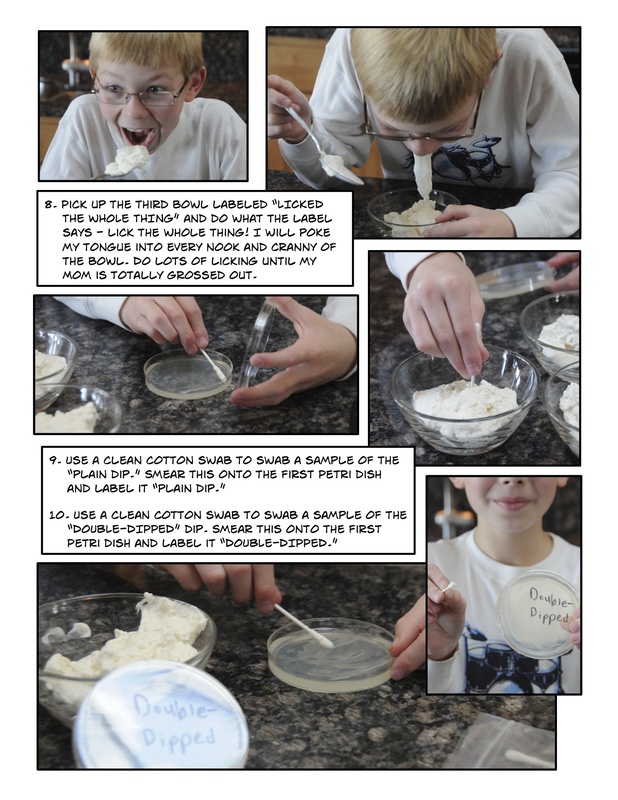 Please understand that he had permission to depart from the “standard” format, but the results are very cool. 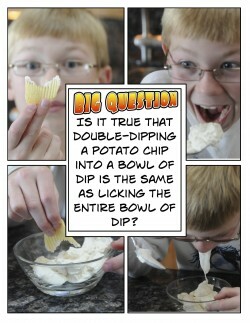 Download a PDF of Jack’s Double-Dip Chip Challenge. Which helmet protects your head the best? 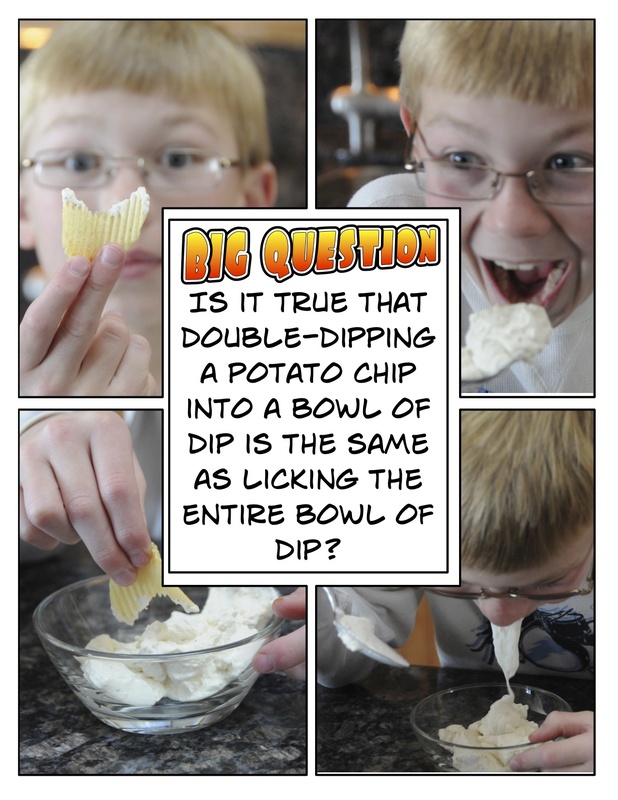 Its like putting your whole mouth on the bowl! 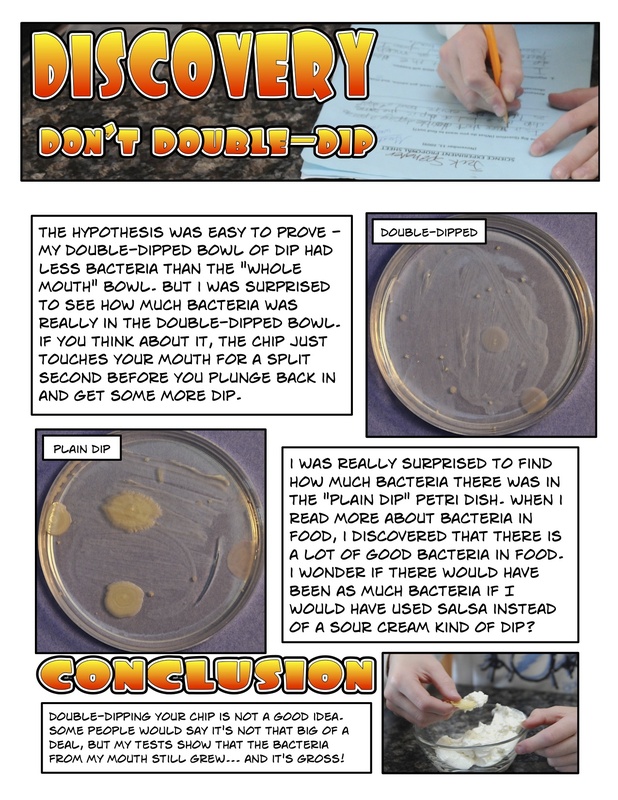 Classic episode, and cool experiment results! 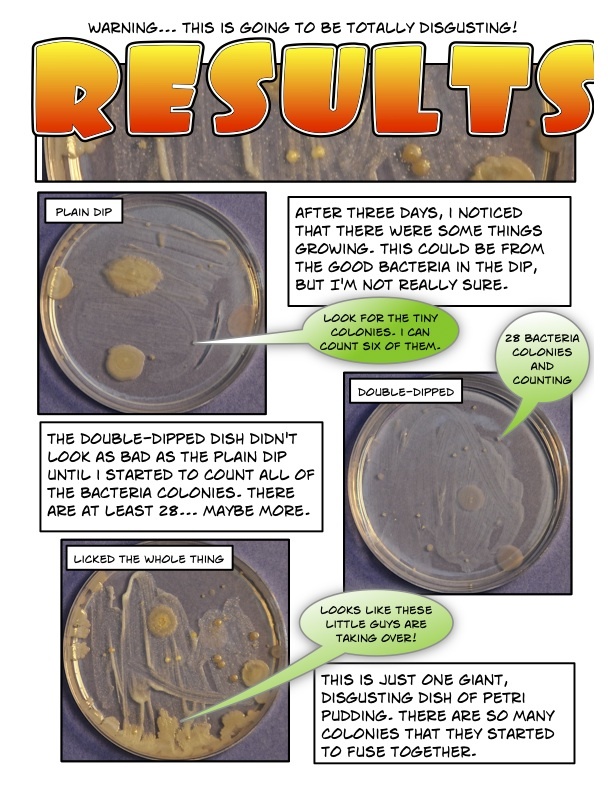 EWWWWWWWWWWWWWWWWWWW!!!!!!!! I AM NEVER GOING TO DOUBLE DID AGAIN IN MY FREAKEN ENTIRE LIFE!!!!!!!!!!!!! 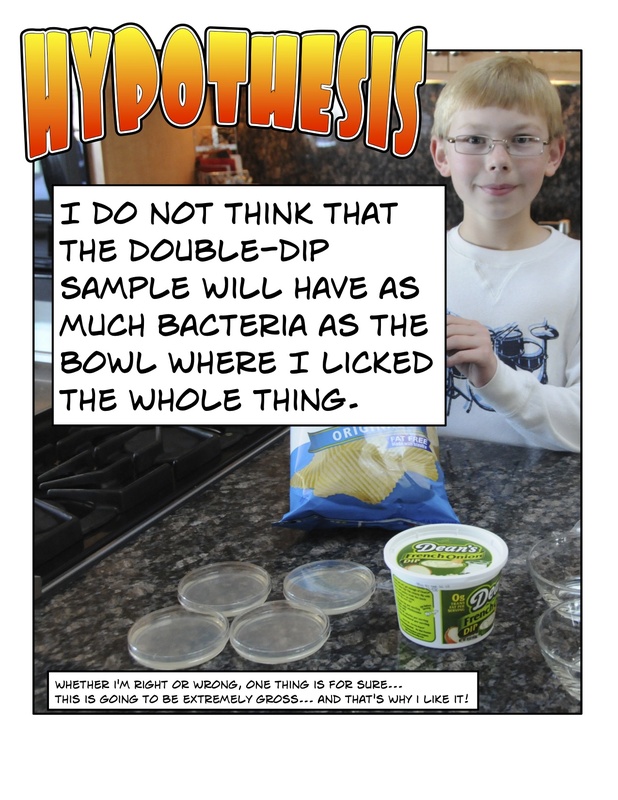 I never knew how much bacteria grows when you double dip. I never double dipped and I won’t do it ever. So awesome yet so disgusting.